Heidelberg, January 18, 2017 - Microbrush® presents new reflective parotid patches that protect teeth effectively from moisture during dental treatment. 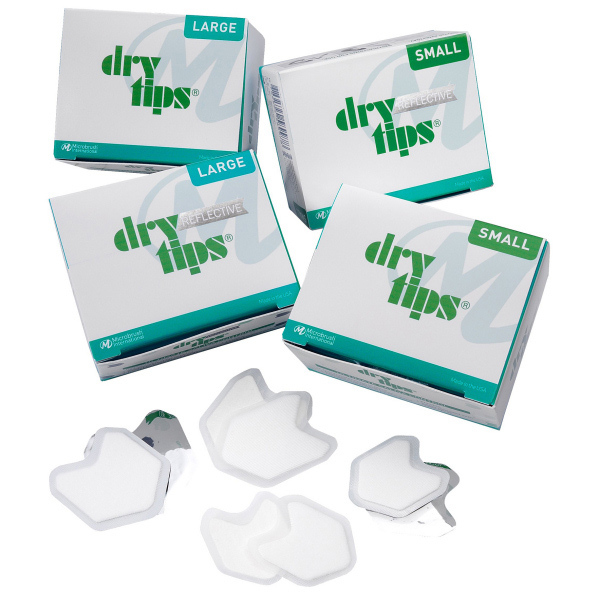 Reflective DryTips® are an ideal supplement to saliva ejectors and cotton rolls because the extremely absorbent pulp pads are placed on the inside of the cheek directly in front of the largest parotid gland, keeping the area dry for the required period of time. The pads are coated on one side with silvery foil, which is aligned to the row of teeth. This results in significantly more brightness and a better view, which is advantageous when using the microscope for example. Draining is necessary for many measures, such as fillings, impressions, caries therapy and orthodontics. The flat dry tips require little space and thus simplify the procedure in the oral cavity. They adhere well to the mucous membrane and are so elastic that they adapt to the facial expressions. They stay in place, store the liquid without releasing it and are easily removed with water spray. 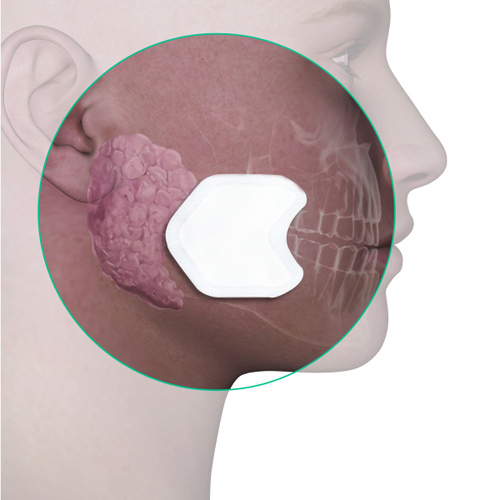 DryTips® are placed directly in front of the parotid gland. Microbrush DryTips® are available in two sizes. Microbrush is a brand of Young Innovations, a leading developer, manufacturer and distributor of high-quality dental products. The portfolio includes innovative solutions for prophylaxis, diagnostics, restoration, periodontology, implantology, endodontics and orthodontics and world-renowned brands like Young, Zooby®, Microbrush® and American Eagle Instruments®. The American corporation has its headquarters in Chicago and its European centre in Heidelberg, Germany. The enterprise was founded in 1900 and is owned by The Jordan Company.